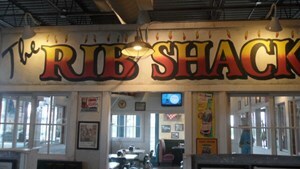 We offer an extensive menu including BBQ Ribs, Mindy’s Signature Salads and Wraps, Vegetarian options, and Kids Meals. Of course, no visit to Mindy’s is complete without a treat from our Old Fashioned Ice Cream Bar. Beer and Wine are available for our mature diners. For a private dining or parties, you can reserve The Rib Shack Seasonal or the Outdoor Picnic area. No time to dine-in? Our full menu is available to go, just swing by the Drive-Thru. Order online or call ahead to have your order ready for pick up.